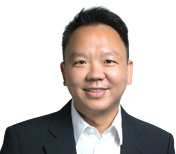 Mr. Li Wen is the Chief Executive Officer of the Trustee-Manager. As Chief Executive Officer, he is responsible for the strategic management, growth and operation of Dasin Retail Trust. He works with the Board of Directors to determine business strategies and ensure that such strategies are executed accordingly. Mr. Li has extensive experience in risk management, treasury management, investments, mergers and acquisitions, and financial management. He was a member of the working group responsible for the Initial Public Offering of Dasin Retail Trust. Prior to his appointment as the Chief Executive Officer of the Trustee-Manager, he was the General Manager (Finance) for Zhongshan Dasin Holdings Co., Ltd., since February 2015. He also held the positions of General Manager for Dasin (Shenzhen) Internet Finance Service Co., Ltd. and Dasin Xincheng Wealth Management Co., Ltd. from April 2016 to May 2017. From 2000 to 2014, he was with Bank of China Co., Ltd (Zhongshan Branch) and was its Deputy General Manager from 2010 to 2014. Mr. Li majored in Trade and Economics from the South China Agricultural University. Mr. Steven Ng Mun Fai is the Chief Financial Officer of the Trustee-Manager. Mr. Ng has more than 20 years of experience in accounting and financial-related work, including group accounting and reporting, accounting system implementation, compliance, strategic planning and financial statements preparation. 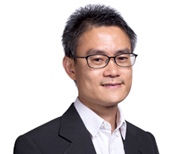 Prior to joining the Trustee-Manager, Mr. Ng was an Audit Senior Manager with KPMG LLP, Singapore for more than eight years, from December 2006 to September 2015, where he provided audit services to public listed companies, subsidiaries, foreign multinationals, government-linked and private companies in real estate, manufacturing, consumer and industrial market industries. During this period, he was also responsible for the audit of a number of commercial, industrial and hospitality real estate investment and business trusts. During his employment, Mr. Ng was appointed as head of the “Real Estate, Consumer and Tourism” business unit in 2011 where he served till 2013. He was responsible for operational efficiencies and also oversaw critical functions of the business unit. Between 2008 and 2011, Mr. Ng was department head for an audit unit where he was in charge of overseeing an audit unit of around 70 staff members. From December 2003 to December 2006, Mr. Ng was an Audit Manager with KPMG in Kuala Lumpur, Malaysia, where he was responsible for planning audit work and also supervising the preparation of financial statements and regulatory reports. Prior to that, he was an Assistant Audit Manager with Ernst & Young in Malaysia from September 1998 to December 2003 where he assisted in preparing statutory financial statements and undertook audit procedures for audit assignments. Mr. Ng obtained a Bachelor of Commerce degree from Griffith University, Australia. He is a non-practising Chartered Accountant with the Institute of Singapore Chartered Accountants, and a Chartered Accountant with the Malaysian Institute of Accountants. In addition, he is also a member of CPA Australia, Chartered Accountants of Australia and New Zealand, the Chartered Institute of Management Accountants, the Malaysian Institute of Certified Public Accountants, the Chartered Tax Institute of Malaysia and the Malaysian Association of Company Secretaries. 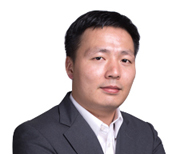 Mr. Lu Zhiqi is the General Manager of the Investment Division of the Trustee-Manager. Prior to joining the Trustee-Manager, Mr. Lu was the General Manager of Investment & Planning Department at Kaisa Commercial Group Co., Ltd. from July 2014 till October 2015, where he was in charge of investment and capital sourcing for the group commercial unit, as well as product planning for the commercial assets. From July 2013 to July 2014, he was the Investment Director of Thaihot Group Co., Ltd., where he was responsible for investment affairs in the Guangdong area. From December 2007 to July 2013, Mr. Lu was the Manager of Investment and Asset Management at CapitaLand China Holding Ltd, where he led a regional team in a number of investment and asset management assignments, such as the acquisition of shares in Panyu LiFung Industrial Estate by CapitaLand, and the divestment of Guangzhou Ascott to Ascott Holding. From April 2005 to December 2007, he was with Evergrande Real Estate Group Limited. During his tenure there, he was Investment Supervisor from April 2005 to February 2006 and was responsible for conducting investment affairs in the Pearl River Delta region, and was subsequently Assistant Manager of Investment and Development from February 2006 to December 2007 where he was responsible for regional investment and project development affairs in the Kunming branch. Mr. Lu graduated with a Bachelor of Civil Engineering from Anhui University of Science & Technology, PRC, in July 2003. He also obtained a Master of Business Administration from Hong Kong Baptist University, Hong Kong, in November 2012. Mr. Lu is a CFA® Charterholder.